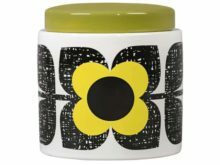 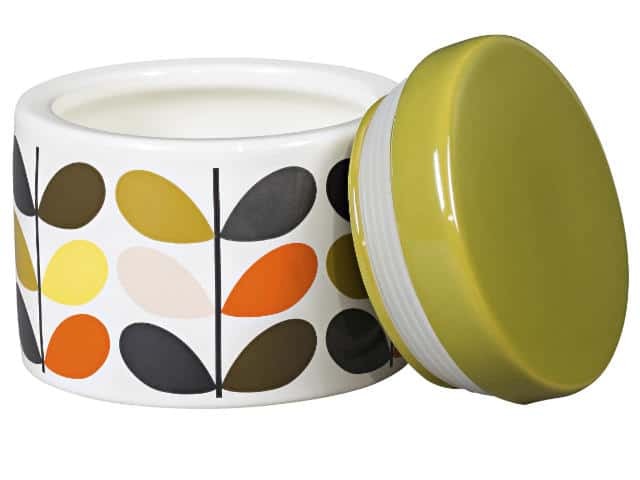 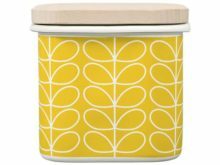 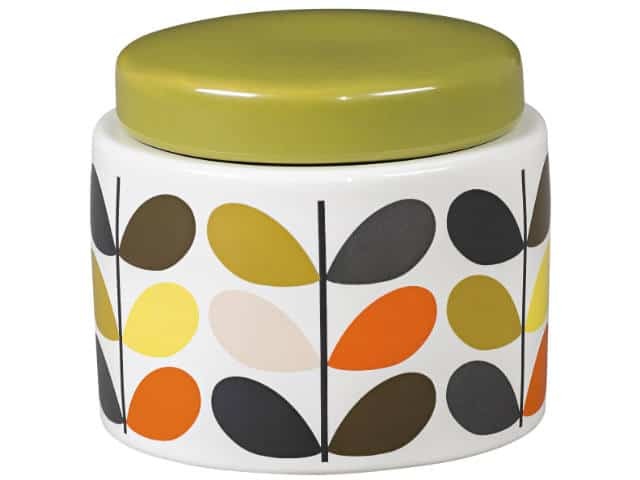 Bring retro style to your kitchen with a 70s inspired Orla Kiely Small Storage Jar Multi Stem. 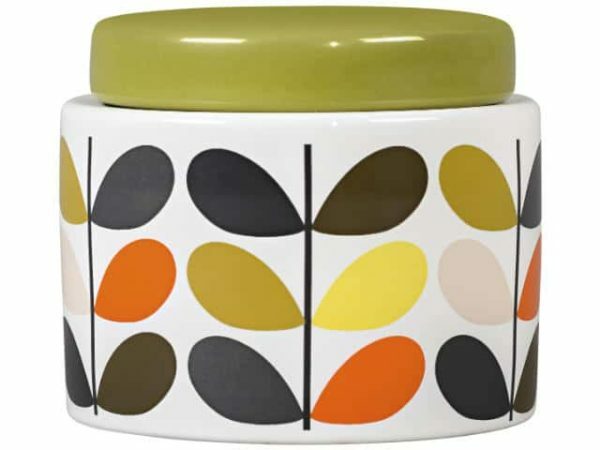 Ceramic storage jar decorated with Orla’s signature ‘Stem’ design, a simple pattern of multi-coloured leaves and stems. 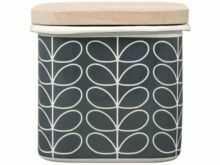 Features an olive green lid with a rubber seal hence is perfect for storing tea, coffee or sugar. 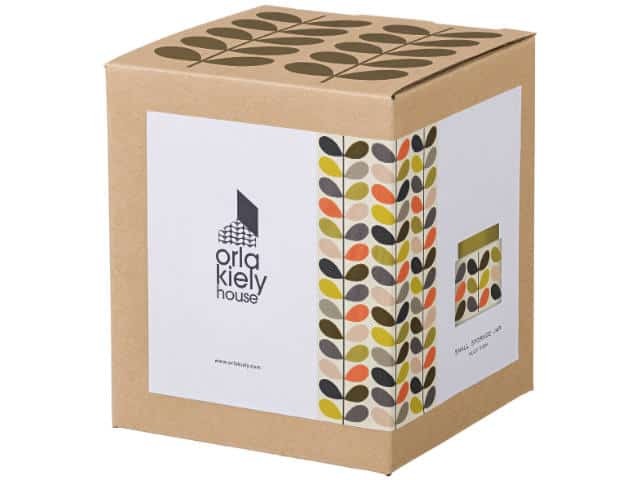 It comes in a matching box and makes a great housewarming gift. 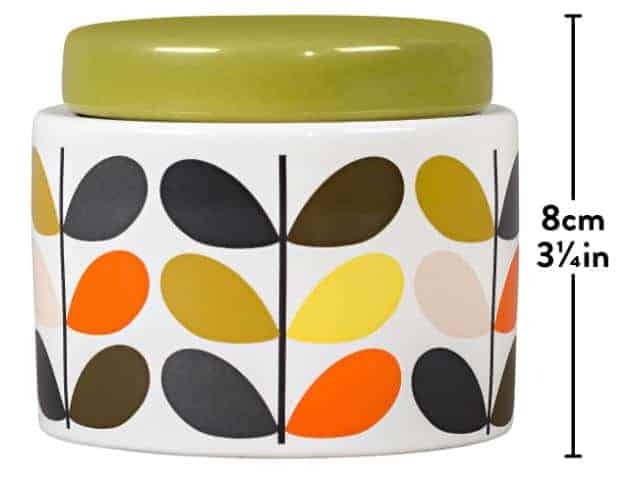 Line two or three jars up on a counter top. 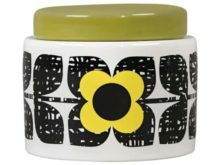 Perhaps a row on an open shelf and put some classic modern design into your kitchen décor.